John Prine: A Look Back At One Man's War In "Great Society Conflict Veteran's Blues," Prine captures as well as anyone the effects of modern warfare. 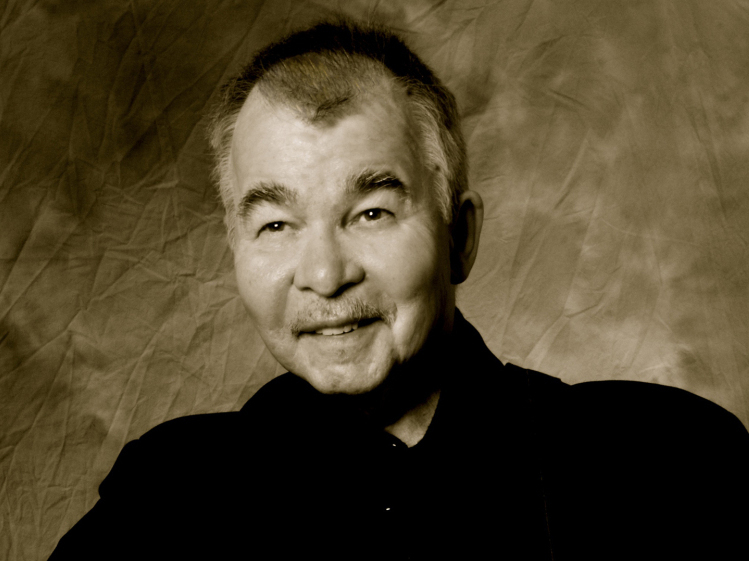 In "Great Society Conflict Veteran's Blues," John Prine captures as well as anyone the effects of modern warfare. Song: "Great Society Conflict Veteran's Blues (Live)"
Some veterans are luckier than others: Some have served without seeing combat; others return from years of battle, PTSD-scarred and wielding what John Prine describes as "a Purple Heart and a monkey on their back." Prine fans know that that line comes from one of the best songs he ever wrote, "Sam Stone" — but only the true diehards know it was originally titled "Great Society Conflict Veteran's Blues." The song has just been released on a two-disc set which includes some of Prine's best work from the 1970s, but this is no mere "best of" regurgitation of his old hits. The collection, The Singing Mailman Delivers, includes two versions of "Great Society Conflict Veteran's Blues" — one live, one recorded in the studio. What makes the live recording special is that it's just Prine, his guitar and a small crowd. At the time, he was just 24 and still learning how to play a full set. His voice is sweeter and clearer, so for lifelong Prine fans, the recording brings everything back to that time when he was first discovered. Prine's career since the '70s has been a roller coaster, with long gaps between records, and he's put out some lukewarm releases in that span. The Singing Mailman Delivers, like the sad and beautiful "Great Society Conflict Veteran's Blues," takes a trip to the beginning for a man writing songs while handing out the mail in Chicago — a man who captured as well as anyone the effects of modern warfare.